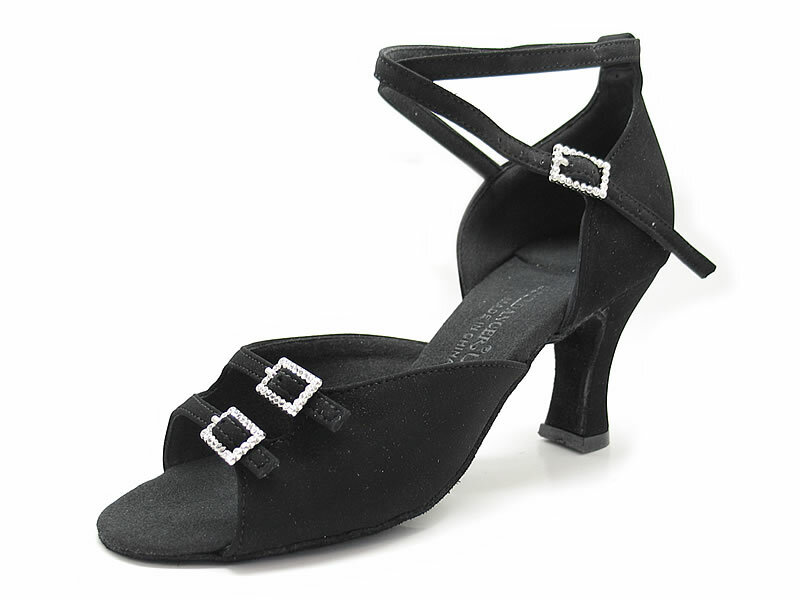 One of our most popular shoes on the dance floor that may be designed in any color. Rhinestone miniature buckles not only add elegance to this shoe, but also may be adjusted to your comfort. Closed hill with slim ankle straps gives a very slender and trim look to the ladies ankles. Picture shows Black Nubuck(G12) in 2 3/4" heel.